This is a thread for discussion of SLADE - bug reports, feature requests, etc. SLADE About Page wrote: SLADE3 is a modern editor for Doom-engine based games and source ports. It has the ability to view, modify, and write many different game-specific formats, and even convert between some of them, or from/to other generic formats such as PNG. As with SLumpEd and previous versions of SLADE, SLADE3 is fully cross-platform. It can be run on various operating systems, including Windows, Linux and Mac OS/X. So no matter your preferred OS, SLADE3 is available for you. All the basic resource management features you'd expect: Create/Open/Save archives, import/export, ordering, conversion and more. Open multiple archives at once and switch between them easily via tabs. This enables simple copy/paste from one archive to another, among many other benefits. SLADE3 features an advanced map editor with all the features of the previous SLADE releases - this includes all you would expect from a modern editor, such as line drawing with smart sector building, 3d mode editing, support for advanced ZDoom features and more. The map editor is also fully integrated with the rest of the program, which means it is possible to add or edit resources (textures, for example) and have the changes immediately reflected in the map editor. The SLADE3 text editor can recognise many text based languages, and provide syntax hilighting, function calltips and autocomplete for them. It also has a bunch of other useful text editing features such as autoindent and find / replace. All supported graphic formats can be converted to PNG/DoomGfx/DoomFlat and more, with an advanced graphic conversion dialog that provides conversion options and previews. Edit doom composite textures (TEXTUREx) with the easy-to-use SLADE3 texture editor. For a more detailed list of features SLADE has to offer, take a look at the Features page on the SLADE Wiki. Last edited by sirjuddington on Thu Dec 27, 2018 2:46 am, edited 38 times in total. 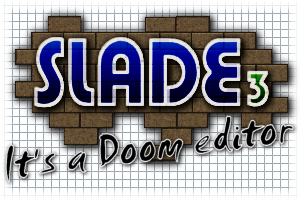 *scratches head* So this is Slade without the level editor, so it's just SLumpEd called Slade? Slade3 is going to be an all-in-one tool, somewhat like DeePSea. Thanks SlayeR for all the work! Personally, I have done all map editing with the XWE map editor (therefore, I haven't done serious mapping), so a WAD lump manager with a good mapping tool would be great! And with the lack of updates of XWE and Slumped, any new lump manager is very good news! Suggestion: ANSI screens (ENDOOM, ENDBOOM, LOADING...) viewing/editing through the GPLed PabloDraw code. Really glad that entry list filtering/searching is being added, as the lack of this is one of the main things I disliked about SLumpEd. Incidentally, will we also be able to do this when viewing lumps, e.g. the TEXTUREx editor? Oh, and it would also be cool if you could move texture entries up and down the list; I like to keep things tidy, and at the moment I'm having to use DeePSea to do this . The other problem I had with SLumpEd was that when you were exporting multiple graphical entries, it would default to .lmp for every single one, rather than remember the format you choose for the previous entry (i.e. .bmp or .png) - extremely annoying if you're trying to export 100 or so entries at once . Solution: convert them all to PNG before exporting. NiGHTMARE wrote: Really glad that entry list filtering/searching is being added, as the lack of this is one of the main things I disliked about SLumpEd. Incidentally, will we also be able to do this when viewing lumps, e.g. the TEXTUREx editor? Oh, and it would also be cool if you could move texture entries up and down the list; I like to keep things tidy, and at the moment I'm having to use DeePSea to do this . All of that stuff is definitely planned. I use all your tools for anything Doom Related: SLumpEd and Slade 2, so this is one of the best news related. I think SLumpEd is the best wad editor, and Slade the best map editor. I didn't try DB2, but some features promised by DB2 are already in Slade 2. 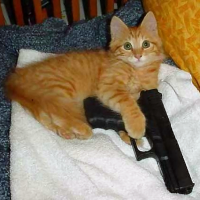 Right now, I will be awaiting for Slade 3. P.S: will you give some patches or similar to Slade 2, while not releasing the stable Slade 3? Why you don't keep the okd webpage (http://slade.mancubus.net) updated? I always check out that site, but you announced nothing new, so i though the project was dead. I can't run it. It crashes with a "Can't start the application because your system configuration is not correct. Re-installation of the application can solve the problem." I'm using WindowsXP 32bit with the last actualization and .NET Framework 1, 2 & 3, aswell as my last video drivers (typical Intel Xtreme Graphics on a laptop). I installed DB2, and the Framework that it downloads from internet, plus the SlimX (or whatever it's name), Slade 3 works fine. I will be give you feedback after I use and test it deeply. I hope you'll look into balancing, meaning close the gaps btween SLumpEd, XWE, and WinTex. In the case of something that can be done a different way in each, why not include all those methods? I like XWE, it's powerful and the UI is comfortable to me. Mostly. It does have it's annoyances, though. I'd love to see every concept joined into one ultimate wad tool. NeuralStunner wrote: Another way WinTex beats XWE is the ability to replace a sprite from an image file without resetting the offsets. One of the major reasons I still use it... XWE just assumes every image you load is a walking sprite, and while WinTex does as well when you make a new entry, XWE resets it to those offsets even when replacing an existing image. - Multiple wads opening off the same parent window, allowing you to copy/paste between them. SLumpEd has tabs! Awesome. - Manually saving the wad. Won't really screw with other programs trying to access the file. - Supports more file formats, and raw data import. - Much easier to rearrange entries. - Easier to duplicate entries. - Extensibility of entry types, palettes etc. - Opens a ton of other game data types. - Alignment box for weapon sprites, with the status bar and a center line. SLumpEd seems to share a lot of the better features between the two, like wad saving, lump rearranging, etc. For now, It's not a bad idea to keep all 3. Another feature I'd like to see is a way to make your own lump filters, instead of just the stock Sprites, Sounds, Flats, etc. every lump I select, SLade asks me to save the previous Lump I selected. - Can't see any image lumps. They doesn't show. I see a white box the size of the image. I dunno if it's .NET Framework, FreeImage or my Graphic Card, but with Slumped, i can see them without problems. "view menu" to show/hide the menubars is necessary, since they can be moved and closed. But when i want to open a file with "File > Open", the "All files (*. *)" filter option is missing. created and is ready to be edited. maps, the names doesn't appear cut. A vertical ScrollBar can be a solution, even when being less "elegant". "move down", but I miss the "import from file" button, that is now only on the sub-menu "Entry". opened WADs, something like in Opera Web Browser. Or maybe some other useful thing. a WAD header is, maybe got confused about what was happened. think that opening a tab with such already open file will be better. - Export as wad, but also as PAK, ZIP and any other format SLADE3 supports. developed for windows or is platform independant. Will it crash under wine (linux/mac) if anything is copy+pasted into it, like SLumpEd does. Thanks for puting your time into this to make it awesome. I just don't really know what else to say. Last edited by Dark-Assassin on Tue Feb 16, 2010 6:17 am, edited 2 times in total. This is what SLADE3 does. It looks like the doom64 sprites are passing the 'doom gfx' data format test somehow, even though they aren't. I'd need a sample d64 sprite to fix this properly, but for now I've added more checks to the doom gfx loading code to hopefully stop the crashing.